MORE THAN A LAMBORGHINI: 2017 arrival for new 427kW hybrid Honda NSX supercar; order books are open but you'll need deep pockets. Prices start at $420,000 before on-roads. 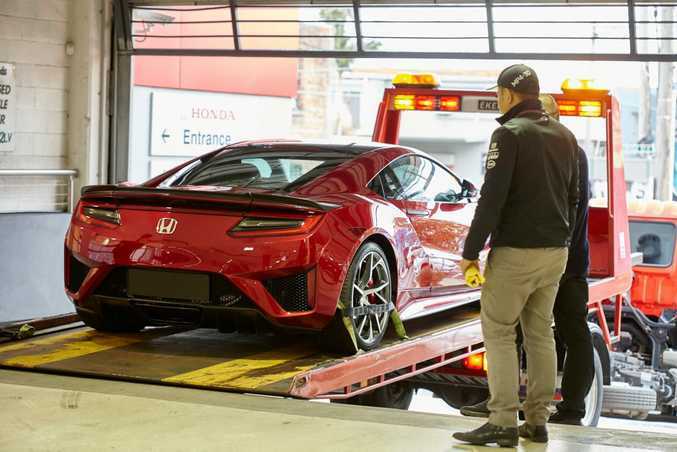 CUTTING-EDGE and brutally fast it may be, but Australian supercar fans hoping to slot the new Honda NSX in their garage will need to find a rather frightening $420,000, before on-road costs, to do so. Such a price makes this rapid Honda more expensive than an Aston Martin V12 Vantage S, Porsche 911 Turbo, Audi R8 V10 Plus, Ferrari California T, Lamborghini Huracan LP580-2, Maserati GT Stradale or McLaren 570S. Exotic company indeed. To put it another way, the same money would buy you 28 of Honda's cheapest cars: the Jazz five-door hatchback. Meanwhile performance hybrid rival, the BMW i8, looks a veritable bargain at a mere $299,000 beside the super-exclusive NSX. 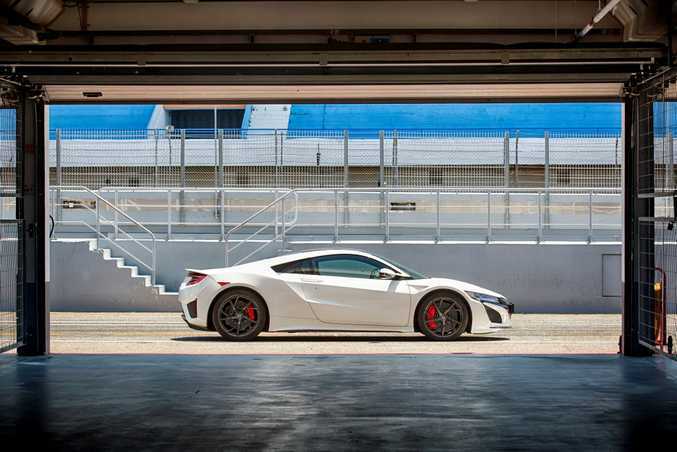 So it's certainly pricey, but the new all-wheel drive NSX is loaded with otherworldly technology and performance, all the while offering "unsurpassed everyday usability," Honda Australia says. The NSX uses a twin turbo 3.5-litre V6 engine and no fewer than three electric motors. The result is 427kW and 646Nm and an estimated 0-100kmh sprint time of three seconds. Honda Australia Director, Stephen Collins, said the model already had a two-year waiting list in North America, and will be a rare car on Australian roads due to its limited availability globally. "It will be exclusive; so those customers who value such exclusivity will really appreciate the Honda NSX," he said. "It will be the must-have supercar in Australia among those owners who appreciate finely crafted automobiles." 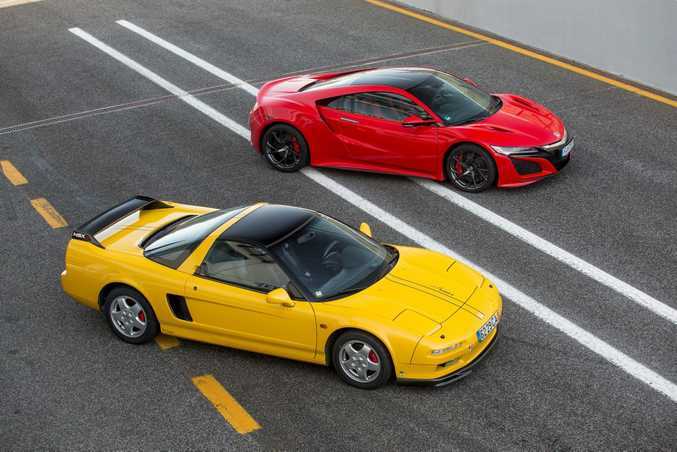 Conscious that many will see the NSX's price as expensive when compared to certain rivals, Mr Collins emphasised how fully loaded Australian-spec cars would be. "It's arriving fully-equipped, for example we've made the carbon fibre exterior and interior packages standard, along with carbon ceramic brakes," he explained. "It's a highly competitive supercar package...many of its competitors must have high-cost options added to match it." In the USA, the NSX costs US$156,940 with less standard inclusions, a price which translates to AUD$206,000. We do have the dreaded Luxury Car Tax to consider too, contributing significantly to that $420,000 price tag. Order books are now open for the ultimate Honda, with Australian deliveries expected in early 2017. Honda Australia says some local customers had already paid deposits to dealers, of which there are five nationally able to sell the car, including Austral Honda in Queensland and Scotts Honda in NSW. "Many (customers) have read the positive reports about the Honda NSX in overseas publications and were prepared to put money down, without even driving it," Mr Collins said. 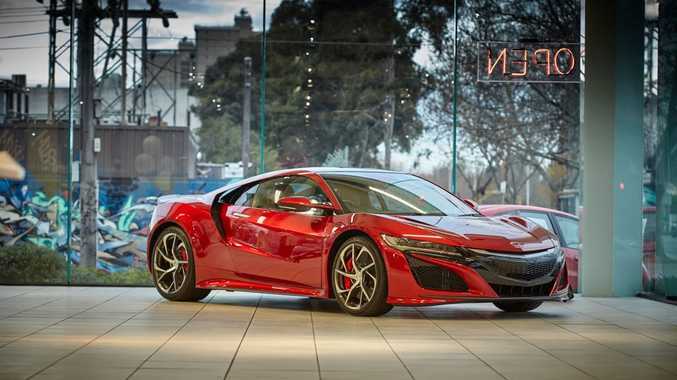 A single example of the new NSX has already landed in Australia to show prospective customers, and will undertake a national road show so the five dealers can showcase the car until mid-October. Oh, and just so you know, it's an extra $1500 if you fancy metallic paint. Or another $10,000 for the Valencia Red Pearl colour as seen in the first photo.